Retired ice hockey player Angela Ruggiero said she was honored to bear the Olympic torch in Sochi Friday. 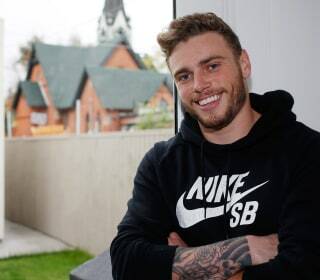 World champion skier Gus Kenworthy, who took home a silver medal from the 2014 Sochi Olympic Games, has come out as gay. 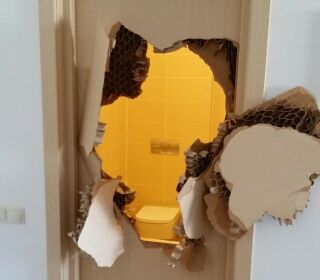 How Olympians won social media in 2014 from the bobsledders who got stuck in the hallway to the wolf in the hall stunt to shirtless Ryan Lochte. A Russian man wants to trademark the four-ring glitch logo from the Sochi Olympics Opening Ceremony, but the IOC, naturally, isn’t having any of that. Alana Nichols and Stephani Victor were conscious and responsive, the US Paralympic team said. There was no further word on their injuries. Tyler Walker, a downhill Paralympic skier from Colorado, was air-lifted off the Sochi mountains after a bad crash on Saturday, but kept his sense of humor on his Facebook page. A Russian Olympic skier says she is paralyzed following an accident during the Sochi games. Russia wraps up the 2014 Sochi Winter Olympics with dazzling performances and a handoff to South Korea for the 2018 Winter Games. In a pageant of culture and pride, Russia says goodbye to its Olympics. We break down our top 18 U.S. athletes to watch come the 2018 Olympic Games in Pyeongchang. The Sochi 2014 Winter Olympics completed today with the closing ceremony. IOC chief says Russia delivered on its promises for the Sochi Games. Forget the agony of defeat. We’re showcasing the thrill of victory with Olympic athletes’ happy faces. The transfer of the Olympic flag marks the beginning of the countdown to 2018. Russian officials have promised to deliver a “fresh look” at Russian culture in Sunday’s closing ceremony, which will bring the curtain down on the 2014 Winter Olympics. The Sochi 2014 Winter Olympics Closing Ceremony featured many pieces of Russian culture. Team USA bid Sochi farewell on Sunday during the 2014 Winter Olympics Closing Ceremonies. A mass of Olympians on the floor of Fisht Stadium. Russia showcased its nation's pride in lights during Sunday's Olympic Closing Ceremony. Russia pokes fun at the Olympic ring malfunction during the opening ceremony of the Sochi Games. Russia's President Vladimir Putin attends the 2014 Sochi Winter Olympics Closing Ceremony at Fisht Olympic Stadium on Sunday in Sochi, Russia. Plushenko, Ahn and the gold medal-winning Sotnikova are among those carrying the Russian flag into Fisht Stadium. The Sochi 2014 Winter Olympics come to a close on Sunday. The first scene is all about water. Later, the familiar rituals of the end of the games. The Olympics will conclude at the place they opened, Fisht Stadium. Four-time Olympian Julie Chu was chosen by her fellow athletes to represent Team USA as the flag bearer at the Closing Ceremony. Bragging rights for the hosts in Sochi. Team Canada earned themselves another gold in Sunday's men's ice hockey final against Sweden. Here are the 14 athletes who excelled in Sochi. Team USA earned a bronze medal at the four-man bobsleigh event on Sunday. What Will Happen to the Stray Dogs of Sochi? The Olympics are over. What's next for the stray dogs of Sochi? Canada takes on Sweden in the gold medal ice hockey game on Sunday. Canada defeated Sweden 3-0 in men's hockey Sunday in Sochi, Russia. Russia won the Olympic gold medal in four-man bobsled, while the United States took bronze. What we'll remember most from Sochi 2014. IOC officials say increased drug testing is working. The 2014 Winter Games are nearly over, but the highs, the lows and the breakout moments from Sochi will be difficult, if not impossible, to forget. Johannes Duerr is the fifth athlete to fail a drug test at the Sochi Games, according to Olympic officials. In an interview with NBC’s Bob Costas, Thomas Bach also says the Sochi Games will provide a catalyst for Russian winter sports. The men's four-man bobsled, 50-kilometer cross-country skiing race and men's gold-medal hockey game precede the closing ceremony. From too much bear to not enough under there, take a look at viral hits from the Winter Games. Javier Fernandez's mock strip tease turned superhero skit is a crowd pleaser during the figure skating gala exhibition in Sochi. U.S. men’s hockey goalie Jonathan Quick had some choice (and confusing) words for his team after their drubbing. See the most stunning images from the fourteenth day of competition in the Sochi Winter Olympics. Mario Matt of Austria became the oldest Alpine champion in Olympic history at 34. Bronze is up for grabs in Saturday's hockey game between the United States and Finland. Venues like the Bolshoy Ice Dome and Fisht Stadium have dazzled athletes and fans alike in Sochi. But what will become of them? A look at past Olympic venues may provide a clue. Austria’s Mario Matt, 34, won gold in the men’s slalom to become the oldest-ever Olympic Alpine skiing gold medalist. The United States’ Ted Ligety missed a medal after skiing out on his final run. Winning gold is the dream of any Olympian, but what happens next can be daunting. For many, regular life becomes a struggle. Benjamin Karl celebrates his bronze medal in men's Snowboard Parallel Slalom with compatriot Julia Dujmovits, the gold medallist in the women's event. Vic Wild of Russia won the gold medal in the men's snowboard parallel slalom at the Sochi Olympics on Saturday. Some Americans say concerns about security and readiness led them to book rooms on cruise ships. Watch every minute of Saturday’s Olympic events online, including the figure skating gala. The Finns will be more rested, so "we'll see what kind of character we have," says U.S. defenseman Brooks Orpik. American Steven Holcomb begins defense of his four-man bobsled title with the first two of four total runs. Ukraine's women's biathlon team refuses to celebrate its victory, given the deadly riots at home. Yes, this billboard really exists. Find out who's behind the fictional bet between the U.S. and Canada. Of course every Olympic athlete wants to win gold. But if they can’t, it might be best to skip to bronze. Stephen Harper can expect two cases of home-brewed beer from 1600 Pennsylvania Avenue. A rematch of the 2010 gold-medal game, this time in the semifinals, goes to Canada again. America’s figure skating team on Friday diplomatically defended the controversial calls that separated the top two winners in the women's event, while questioning the system that initiated the controversy. Fans get in the rivalry spirit for the USA-Canada ice hockey semifinal on Friday. Eighteen-year-old Mikaela Shiffrin is the youngest American skier to win an Olympic gold medal. The Dutch look to finish off a record-setting performance in Sochi on Friday with the men's and women's speed skating team pursuit. The gold is only the second in Ukrainian history at the Winter Olympics. Canada took the gold medal in men's curling against Great Britain Friday, a day after the ladies' team did the same against Sweden. The first doping cases at the Olympics come with just two days to go. Suit controversy aside, the two sides have extended their partnership for eight years. The stakes are escalating ahead of today's men's hockey semifinal showdown between the U.S. and Canada. A prince is rooting for Britain's curling team. Sweden beat Finland in the men's ice hockey semifinal on Friday to advance to the gold medal round. What Happens to Sochi After the Olympics? Find out what happens to Olympic stadiums after the Games end and what Sochi hopes will come from the near $50 billion spent to construct these facilitates. Chile's Stephanie Joffroy suffers a bad crash during the women's ski cross quarterfinals on Friday. Four-time Olympic medalist Julie Chu was named the U.S. flag bearer for the Closing Ceremony at the Sochi Games. More than 1 million people have signed an online petition for an “open investigation” of the figure skating judging process. Freestyle skiing women's ski cross took place on Friday where Team Canada earned two medals for their country. Every dramatic moment and every heart-breaking goal from Thursday's USA-Canada women’s hockey final. In the wake of Thursday’s free skate results, here's a side-by-side comparison video aligning the programs of silver medalist Yuna Kim and hotly-debated gold medal winner Adelina Sotnikova. Parents of elite athletes face an extreme brand of empty nest syndrome, after dedicating their lives for years to their children's success. A hearing is set before a disciplinary panel of the International Olympic Committee. American Ashley Wagner’s voice was among a chorus of experts and former champions who expressed shock at Thursday’s results. See the most stunning images from the thirteenth day of competition in the Sochi Winter Olympics. Injuries sustained from a puck to the face have left Team USA and Nashville Predators GM David Poile without vision in his right eye. Maple Leaf Miracle! Canadian Comeback Topples U.S.
Marie-Philip Poulin scored twice for the second straight Olympic gold medal game and Canada beat the United States 3-2 in overtime on Thursday for its fourth consecutive title. Russia's Adelina Sotnikova pulled through to win gold in the women's free skate figure skating finals on Thursday as the program was full of emotion. The two bitter rivals will face off for the fourth time in five Olympic gold-medal games dating to women's hockey's Olympic debut in 1998. Adelina Sotnikova of Russia became the new ladies' figure skating Olympic champion in front of a home crowd. Vancouver gold medalist Yuna Kim finished second. With her bronze medal, Carolina Kostner becomes Italy's first woman to medal in figure skating. American Maddie Bowman made history at Rosa Khutor Extreme Park when she won the first gold medal in women's freeski halfpipe. Marie Martinod of France won silver, and Ayana Onokuza of Japan won bronze. The U.S matched up against Canada on Thursday for the Sochi 2014 ice hockey women's gold medal game. Canada completed the first undefeated women's Olympic curling tournament in history on Thursday by defeating Sweden and taking home the gold. Canada beat Sweden 6-3 on Thursday to win the Olympic women's curling gold medal for the first time since 1998. Team USA attempts to land freestyle skiing halfpipe gold again on Thursday in the women's event.